LeMay Mobile Shredding can destroy many types of confidential documents, including paper files, computer disks, magnetic media, audio/visual media, VHS, and most all media in which confidential material can be stored. 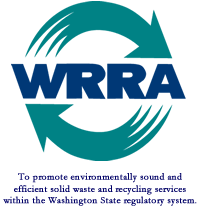 The Washington State Department of Ecology maintains a database of recycling opportunities available in Washington State. E-Cycle for electronics Washington has a FREE, convenient and environmentally responsible recycling program for computers, monitors, laptops, televisions and e-readers. 2good2toss.com is Washington’s online exchange for reusable building materials and household items.